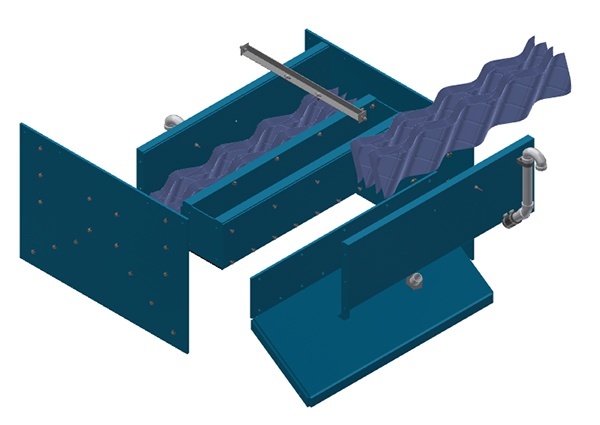 As part of the WesTech MULTIWASH® family, the MULTIWASH PRO trough can be added to almost any system (WesTech or others) either as a retrofit or upgrade. 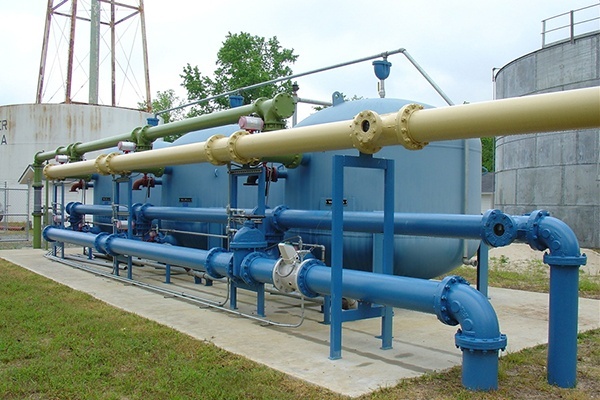 It is also available for use in new pressure filters and AERALATER® package plants. The MULTIWASH backwash process solves the media fouling and frequent backwash problems that can occur in today's plants. Its high-performance backwash eliminates mudball formation, media grain coating, and biological fouling without the need for chemical cleaning systems. Replacing a backwash system already installed in a tank can be a challenging job. Usually it requires cutting large holes in the existing tank, hiring a welder to fabricate the washtrough inside the tank, repairing the access hole, and then repainting the inside of the tank. All of this is time consuming and comes with some degree of safety risk for those doing the work. The new MULTIWASH PRO trough provides a way of changing to the MULTIWASH system. Because it is made of high density plastic, the equipment is easier to work with, yet reliable for long-term performance. The pieces of the MULTIWASH PRO trough are sized to be passed through a standard 14 in. by 18 in. manway and are then bolted together inside the tank. Full installation requires minimal welding of support brackets and touch-up painting. 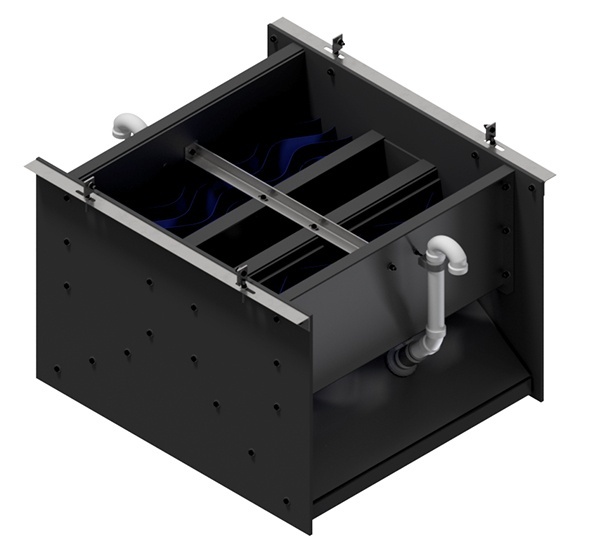 The MULTIWASH PRO trough is an integral part of the superior cleaning system known as the MULTIWASH backwash process, which simultaneously combines air and water in an efficient backwash. For an installation at your site, simply provide a few measurements, the current operational sequences, and the piping lay out, and our engineering staff will help you upgrade to the MULTIWASH PRO trough. No painting required on the tank after install, except at welded support brackets.